The Fifth of April 2018 marked the day for ‘sweeping the tombs’ 掃墓, a festival on which respects are paid to loved ones and forebears. Known since ancient times as Qingming 清明, ‘Clear and Bright’, it falls on the Eighth Day of the Third Month of the lunar calendar (depending on the year, according to the Gregoria Calendar, this can be the 4th, 5th or 6th day of April). Qingming comes less than a week after the Third Day of the Third Month 上已節, a time of ritual purification and seasonal celebration (see Spring Lustration). Visiting the tombs of family members and ancestral graves was an occasion both to give thanks and to take delight in the season, for that reason it is also known as the time of Spring Excursions 春遊踏青 (also 踏春). In 2018 we mark Qingming with an essay by Lee Yee, the celebrated Hong Kong writer whose work has featured in China Heritage since 1 October 2017 (see The Best China). Here Lee commemorates his wife, Liang Liyi (梁麗儀, 1936-2008) and this essay is translated as a token of respect for a woman who was both insightful and unfailingly good-humoured. Lee Yee (Li Bingyao 李秉堯), then editor-in-chief of The Seventies Monthly 七十年代月刊, employed me as an English editor for two years from 1977 and Liang Liyi often visited the editorial department of the magazine. She would share political and personal insights honed by nearly two decades living and teaching on the Mainland. Funny, irrepressible and thoughtful, she generously contributed to our seemingly endless discussions of Chinese politics and world affairs. She also had a major influence on the political analyses that Lee Yee published under the pen-name Ch’i Hsin 齊辛. At the time Liang Liyi worked at Commercial Press 商務印書館, a Mainland-controlled enterprise with oversight covering publishing houses, magazines and printers that served both the overt ‘united front’ as well as more covert propaganda efforts of the Chinese Communist Party in the British colony. My boss, her husband, used Liang’s name — Liyi 麗儀 — as the inspiration for his main pen-name, Lee Yee 李怡. This extraordinary couple helped guide me through that bewildering period of ‘de-Maoification’ and, when I became a regular contributor to the magazine in the mid-1980s, they were a constant source of encouragement. Later, in 2005, as I formulated my ideas about New Sinology 後漢學 — that is, an understanding of modern China that is grounded in a familiarity both with the tradition and with the contending political and cultural ideas of the twentieth century — I was conscious of the formative influence of Lao Lee and Lao Liang. Lee and Liang were from families with close ties to the Communist Party. They met at Heung To Middle School 香島中學, a pro-Mainland institution founded in 1946, and were married in 1960. Liang Liyi pursued tertiary studies on the Mainland while Lee Yee stayed in Hong Kong where he went into publishing. After graduating from university, Liang took a job teaching in Shenzhen. For many years the couple had what at the time was a common Mainland-style connubial arrangement living and working in different cities, only meeting on holidays or during major festivities. They maintained contact by letter, although their voluminous correspondence was destroyed in the Cultural Revolution. During those years zealots also denounced Liang for ‘treating students with a reactionary educational technique: motherly love’ 對學生進行反動母愛教育 and, before the fall of Lin Biao in 1971, she was put under investigation for having a ‘Hong Kong spy for a husband’ 香港特務老公. For a time she was placed in solitary confinement. In 2008, Liang learned she had cancer and she passed away after only a short illness. For the first time since he began writing half century earlier, Lee Yee fell silent. He described his sense of loss in an essay titled ‘These Months’ (see 兩個多月來, 12 January 2009) and it was some time before he resumed his lifelong career as a commentator and essayist. In 2011, Lee published a collection of essays written after Liang Liyi’s, many of which touch on their relationship (see ‘In Remembrance of Letting Go’ 為了放下的記念, 17 July 2011). In the following, Lee Yee tells us that he pays his respects at his wife’s grave twice a year: at Qingming 清明 in the spring and again in the autumn during the Chongyang Festival 重陽節. We describe these traditional days of remembrance in New Sinology Jottings 後漢學劄記, see: In the Shade 庇蔭 and Ninth of the Ninth 重陽 Double Brightness. 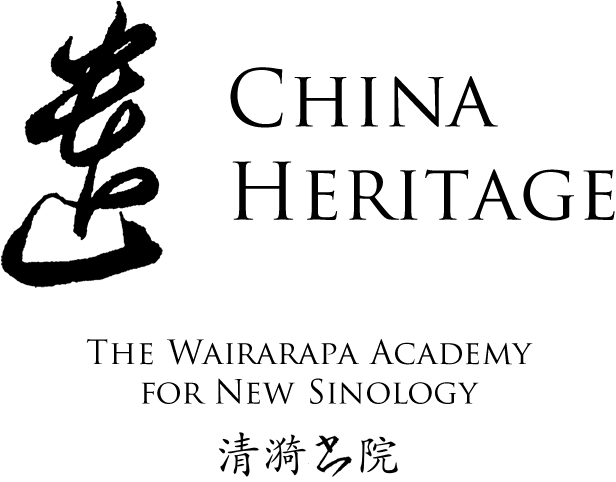 As this essay contributes to various aspects of China Heritage, it is included in Projects under New Sinology Jottings, Wairarapa Readings, as well as The Best China. For details of Lee Yee’s editing and publishing career, see here. My weathered face, my hair a frosty white? With misty eyes beneath the candle light.